If it involves a lock or key, the Pro-Lock & Safe team is here to help! We have over 30 years of experience providing scheduled and emergency locksmith services to Felton and the surrounding areas. We can help with tasks as simple as repairing damaged locks or installing panic bars on the doors of your business. We also offer 24-hour locksmith services so you can get help when you need it — we can come pop a lock on your home, vehicle, or business any time, day or night. No matter what you need help with, we are the local lock and key experts. Give us a call today to learn more about how we can help! Your door locks are loose and wobbly or stiff and hard to turn. You’ve locked your keys in the car or locked yourself out of the house. You want to boost security for your business without restricting access to customers and employees. You need new keys made or a keyless entry system installed for a vacation rental. You just moved into a new home or apartment. And so much more. Connect with Pro-Lock & Safe to learn all the ways we can help you boost security and help in emergency locksmith situations. As the go-to 24-hour locksmith in Felton, there’s nothing that we love more than taking good care of the residents of our incredible town. With over three decades of experience, you can rely on us no matter what situation you find yourself in. Whether you have locked yourself out of your home or you locked your keys in the car, you can count on us to make your emergency our top priority. We know that you didn’t plan to have this happen during your day, but when you call us, we’ll do our best to get to you quickly and get you back to the rest of your day. When you need a locksmith, you want to make sure that the team you call is qualified. At Pro-Lock and Safe, we are licensed, bonded, and insured in our line of work. Each of our employees is dedicated to providing the best possible customer service and we love to go above and beyond for people who are in need. Because we have thirty years of expertise in our field, we have pretty much seen and done in all. 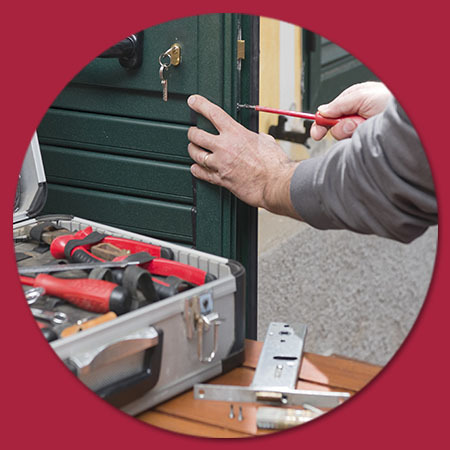 With experience in cutting keys, cracking safes, and installing locks, there’s not much we can’t do for you. In short, if you’re looking for the best locksmith in Felton, look no further. When you call us, we’ll provide you with a timeline for our arrival and a free estimate. It’s as simple as that. Our goal is to make your experience with us a positive one so you can get back to your day unphased. We love the residents of Felton and we’re happy to live in such a beautiful part of the country. When you need a crew to help, we’re here for you. Give us a call today.